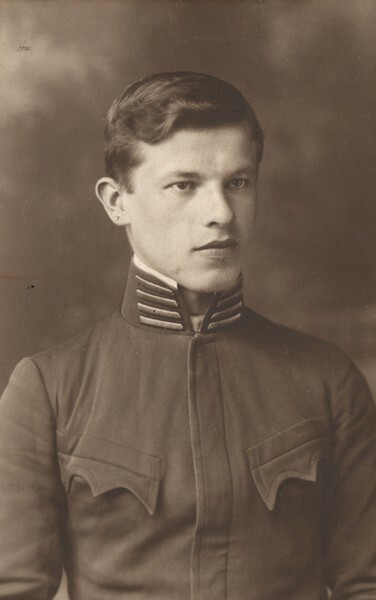 Józef Ostafin (born 7 March 1894 in Sułkowice, died 13 November 1947 in Kraków), son of Rozalia (family name Klimas) and Jakub. Polish Legions soldier, insurgent in the Silesia Uprisings, member of Parliament, soldier of ZWZ-AK. 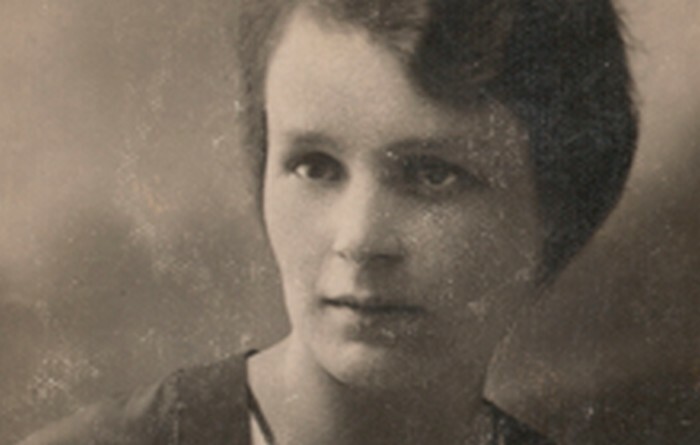 Pseudonyms: Chudy, Miłosz. 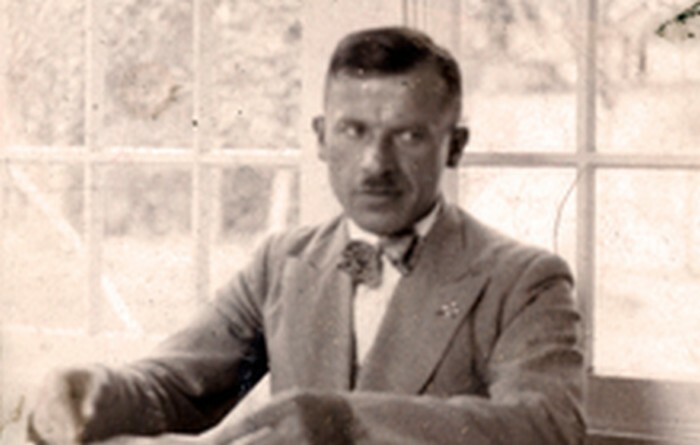 After WWII he was a member of Wolność i Niezawisłość (WiN), sentenced to death by the communist regime. 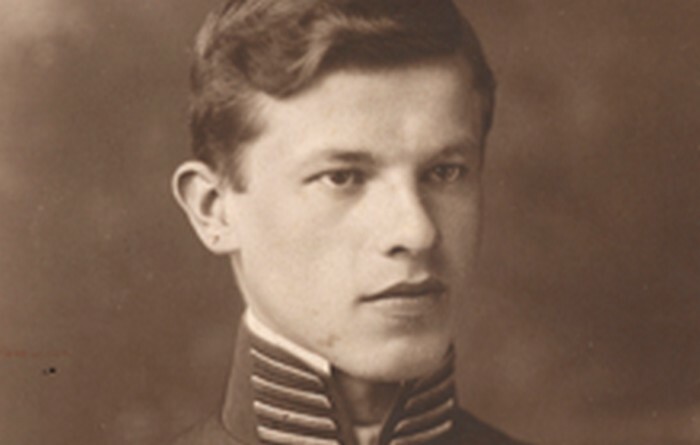 Józef Ostafin studied at St Anne school in Kraków, and took his school leaving exam matura in 1914. 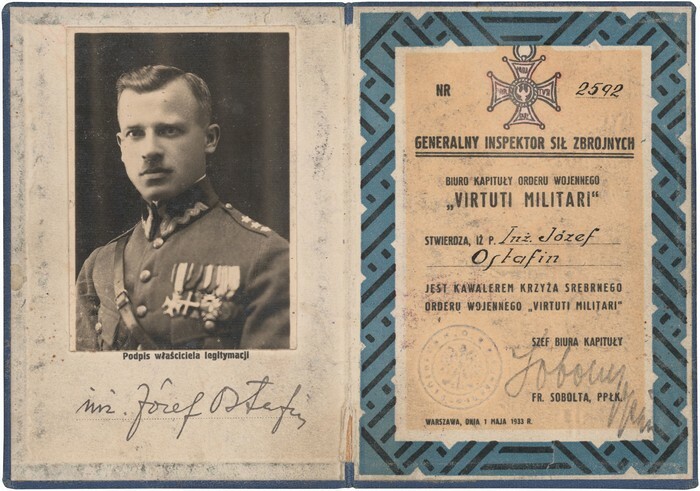 In 1914 he joined the Polish Legions and fought in the Carpathian Mountains, in the Bukovina and Volhynia regions. 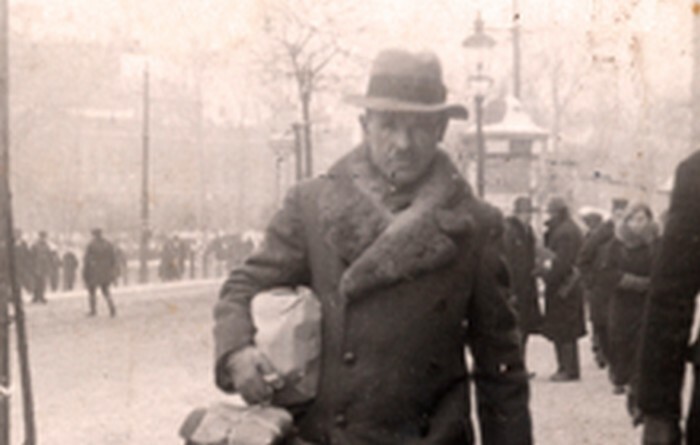 In 1918 he became involved in the activities of POW (Polish Military Organization). 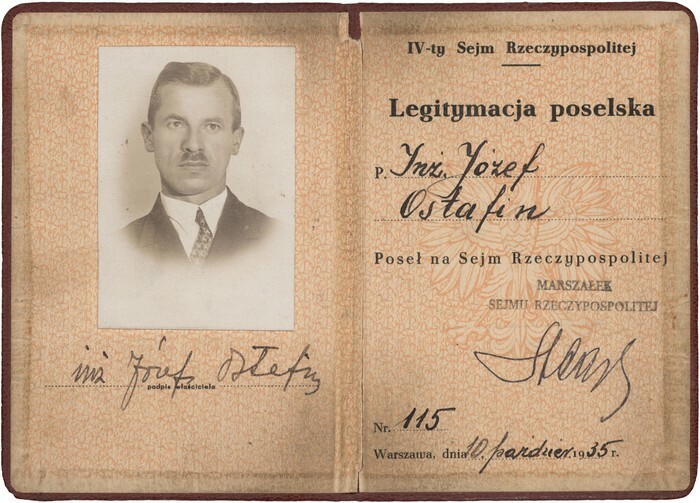 In 1919 he fought in the Polish–Soviet War defending Lviv and Przemyśl and in the Silesian Uprisings. 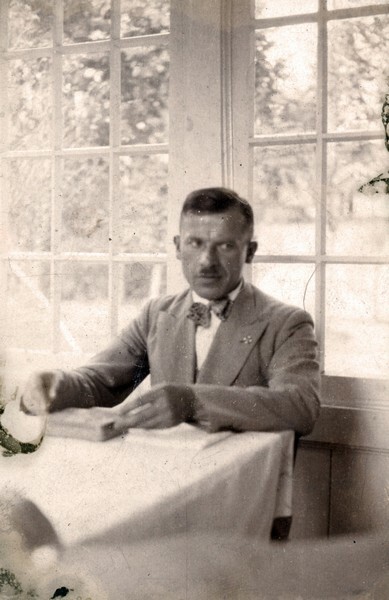 In 1922 he graduated from Dubiańska Akademia Rolnicza (department of Agriculture and Forestry) and took a position of a manager in Lviv’s bishops property. 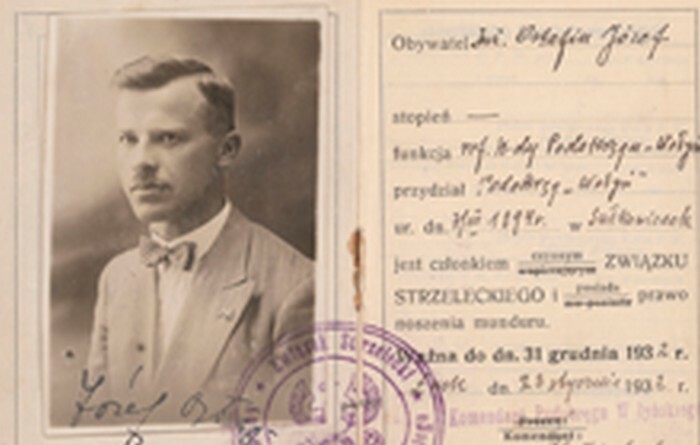 Later he worked in Economy Association of Easter Małopolska. In 1932 he started his career as a teacher. He was twice an MP, first in 1935 and then in 1938. When WWII broke out Ostafin was arrested in Lviv by the Soviets. 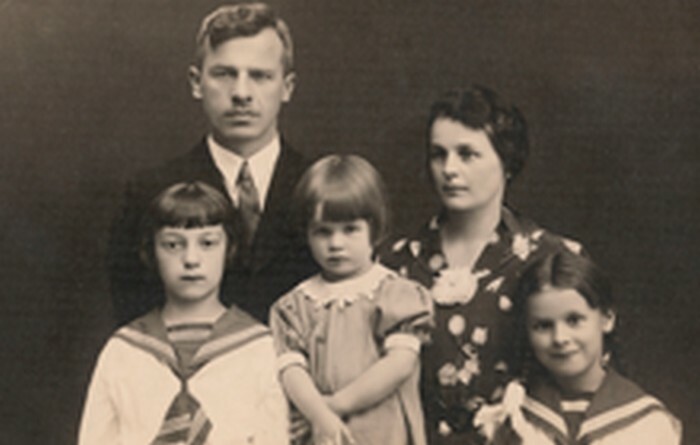 Following his release in 1940 he managed to get through to Kraków where he was joined by his wife and daughters. They lived in a house that belonged to the Kraków Curia on 63 Grodzka Street. 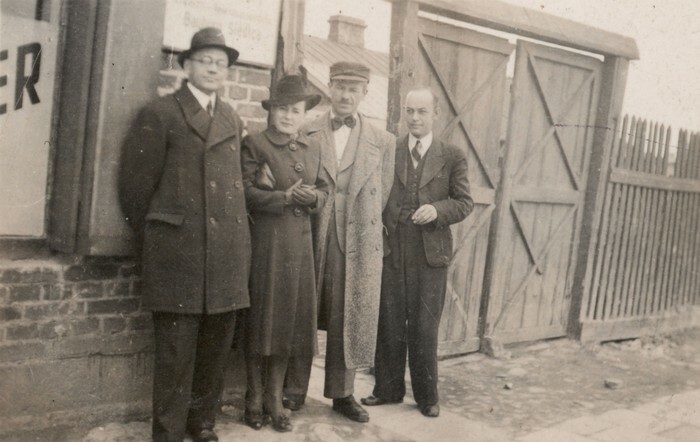 Ostafin found work in two German companies: Kirchoff (road building) and then Sadgustelle (a seeds and grain company). In 1941 he joined the underground resistance ZWZ AK. 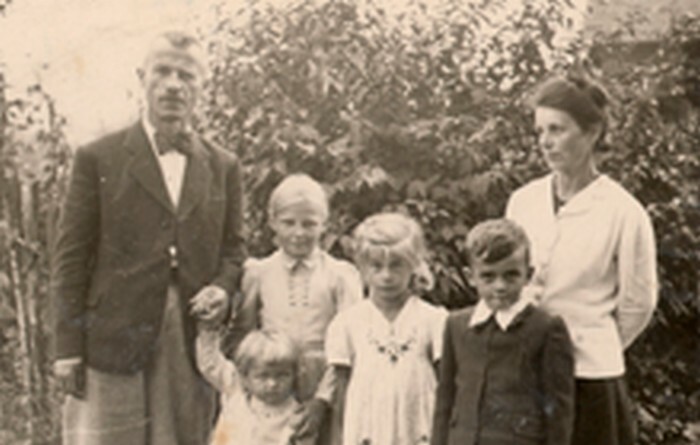 From 1943 he was a clerk in the Agriculture Department of the Government Delegation for Poland, where he organized sabotage operations to secure deliveries to the underground movement from German resources. He was one of the first people to learn about the Katyń massacre in which Polish officers and intelligentsia were murdered by the Soviet NKVD. 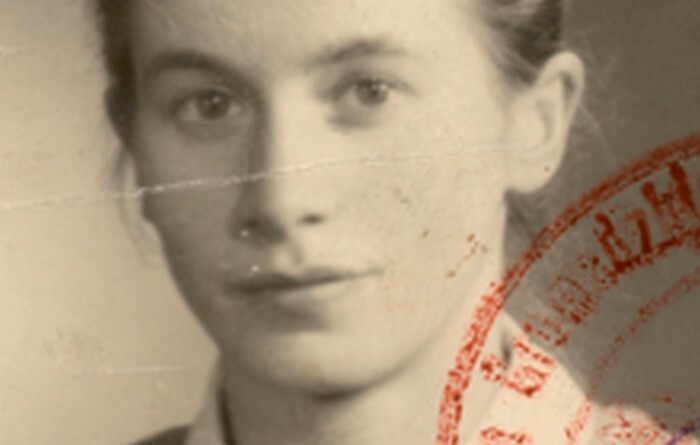 From 1943 he went into hiding after learning that the Gestapo was looking for him. In 1944 he joined the NIE organization whose task was to continue fighting for Poland’s independence after the Red Army invaded Poland. After the war he remained in hiding. He worked in agricultural properties in Wierzbno and Giebułtów. He continued his work for the underground anticommunist movement. From autumn 1945 he was active in WiN organization (pseudonym Chudy). 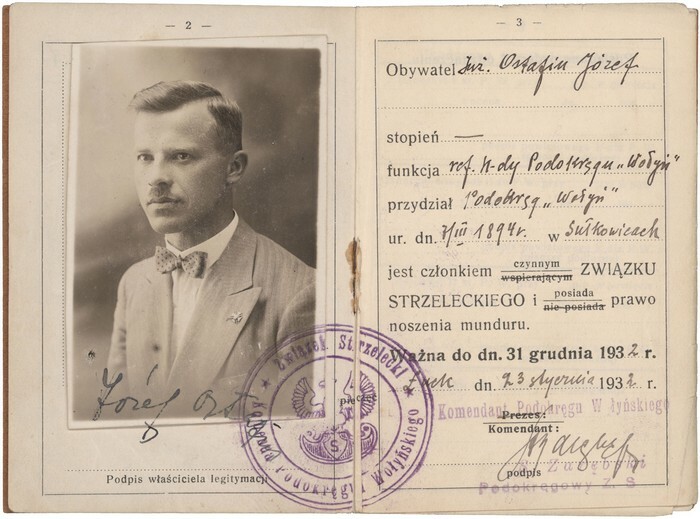 He was arrested on 19 September 1946 and transported to WUBP headquarters on Inwalidów Square in Kraków. 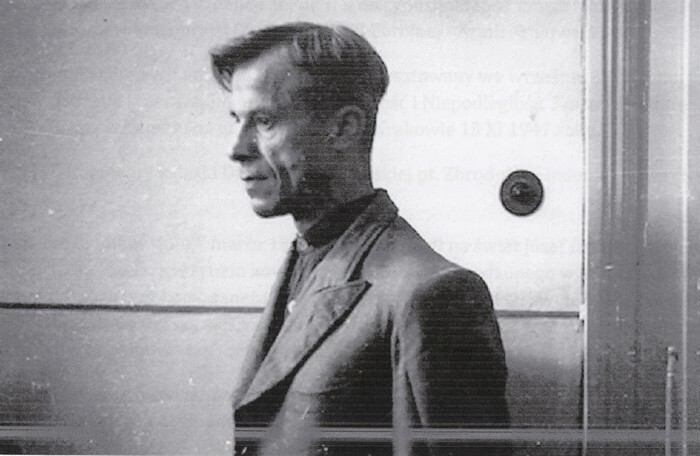 After 8 months, together with other members of WiN, he was placed in Montelupich prison in Kraków. On 10 October 1947 a military court sentenced him to death for his activities in, according to the communist regime, anti Poland organizations. His public rights and property were confiscated. President Bolesław Bierut did not grant him pardon. 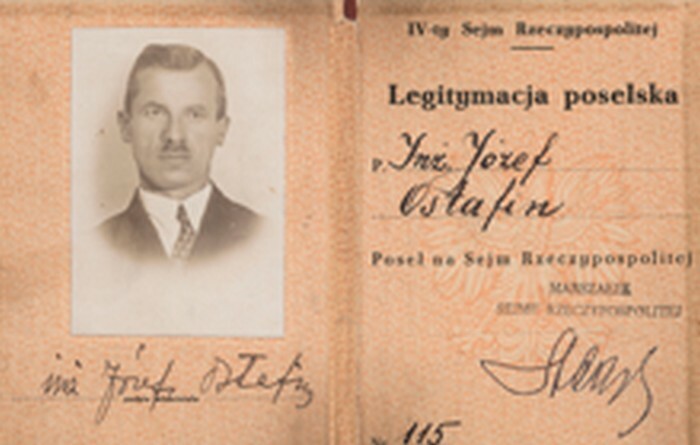 Józef Ostafin was executed on 13 November 1947, at 7.10 pm in the backyard of Montelupich prison in Kraków. His burial place remains unknown. In 1991 Józef Ostafin was politically rehabilitated. 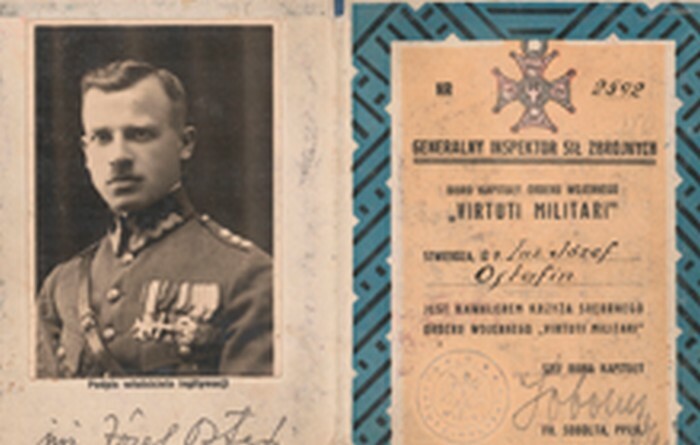 He was awarded Srebrny Krzyż Virtuti Militari (1921), Krzyż Niepodległości (1931), Krzyż Oficerski Orderu Polonia Restituta (1937), Krzyż Walecznych (1922), Śląska Wstęga Waleczności i Zasług (1921). 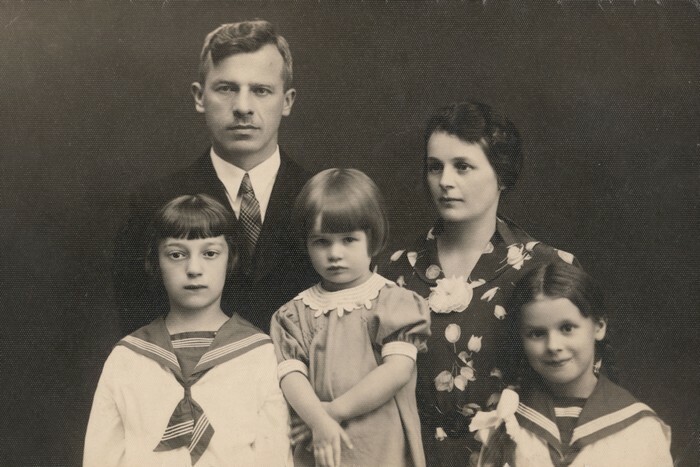 He married Kazimiera Medyńska and had three daughters Krystyna, Janina and Jadwiga. Józef Ostafin. Kraków c. 1914. 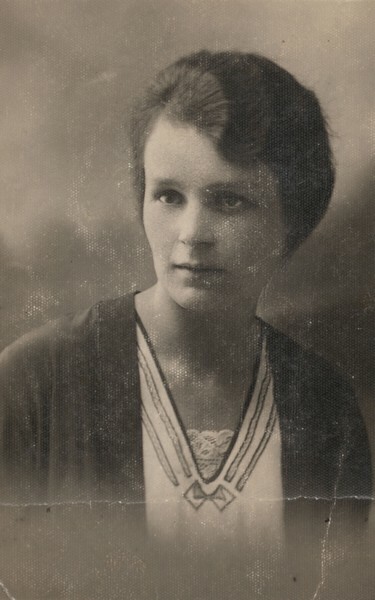 Kazimiera Ostafin, Stanisław’s wife. 1930s. 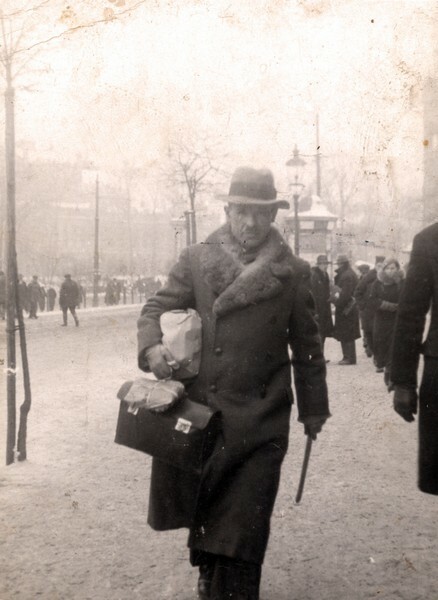 Józef Ostafin in Lviv in 1935. Member of Parliament ID. 1935. 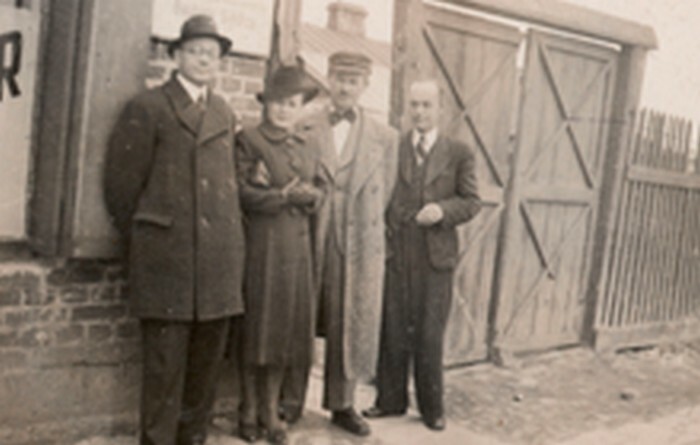 Józef Ostafin (second from the left). 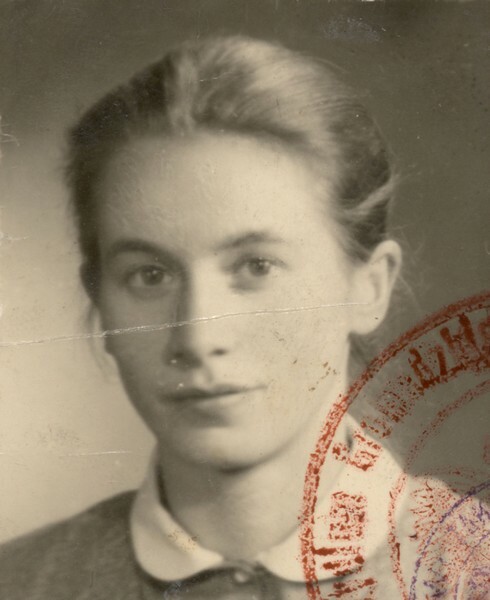 Sielce c. 1942. 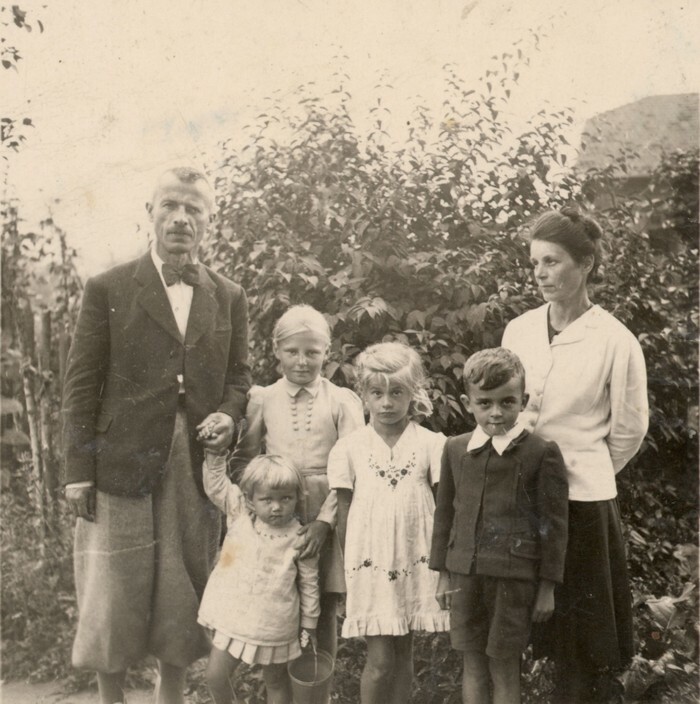 Józef Ostafin with his family in Kalwaria Zebrzydowska. Jadwiga Ostafin, Józef’s daughter. 1947. 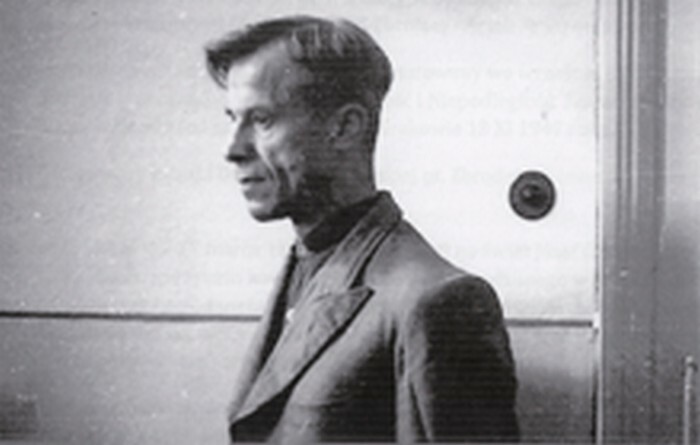 Józef Ostafin in prison. Kraków 1946.